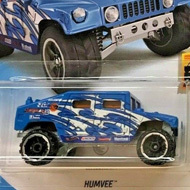 FYF98 is 115/250 in the mainline set, 3/5 in the HW Moto series, and a 2019 Treasure Hunt. The motorcycle has a black seat, black handlebars, a black metal Malaysia base, and Motorcycle 3-Spoke wheels with silver rims. It is detailed with red, gray, and white paint stripes with “Honda” on the tank. 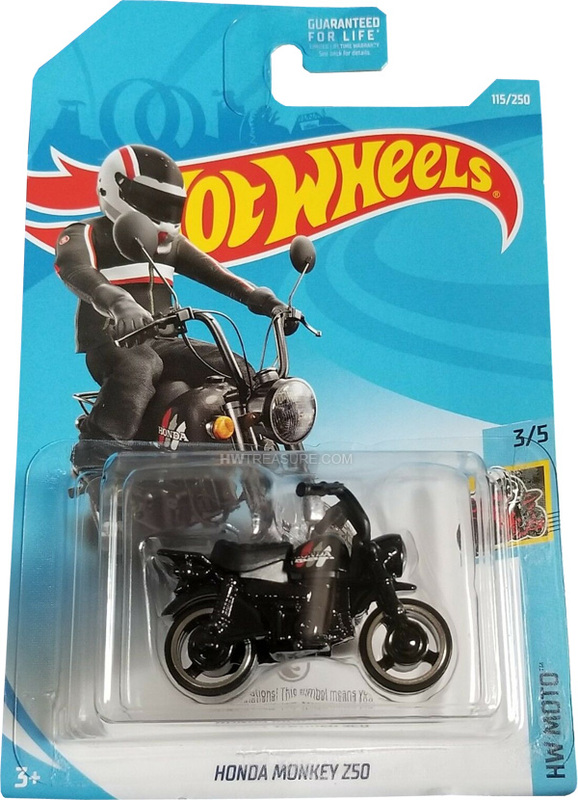 The low production symbol is on the card behind the motorcycle. 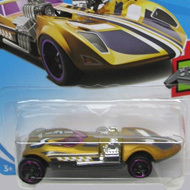 This vehicle can be found in mix “E” of 2019 Hot Wheels mainline cases. The Honda Monkey Z50 made its debut in the 2016 HW Moto series. It is based upon the Z series of minibikes. The “monkey” moniker is due to the way a rider looks when on one of the bikes.